Audio to Make You Swoon! 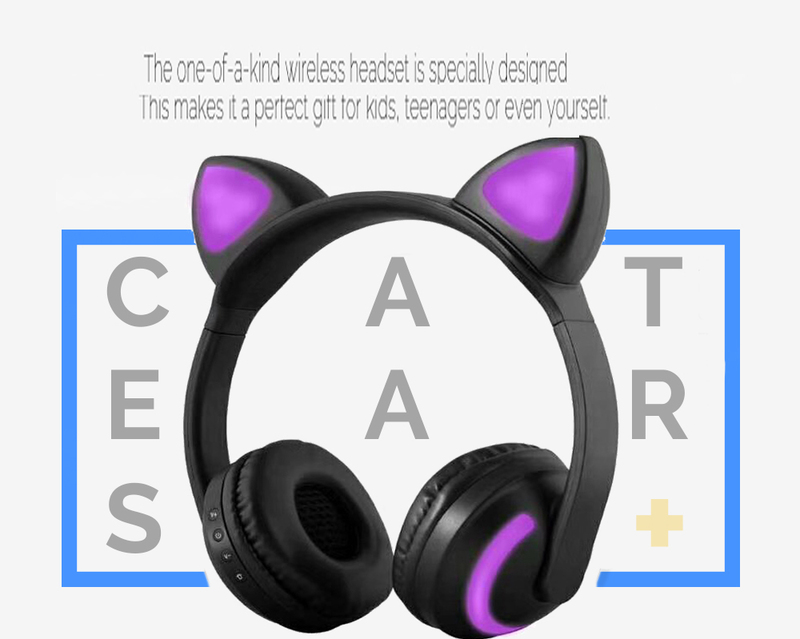 For Audiophiles, "Cat Crazy Ladies or Guys", Gamers or Movie/T.V. Fans...Generally Quirky People with Hearts of Gold💛who don't care what others think and dislike anything Ordinary! If ANY of these is YOU: Get Yours! Put on a pair and be transported into your own private club where you can dance the night away. 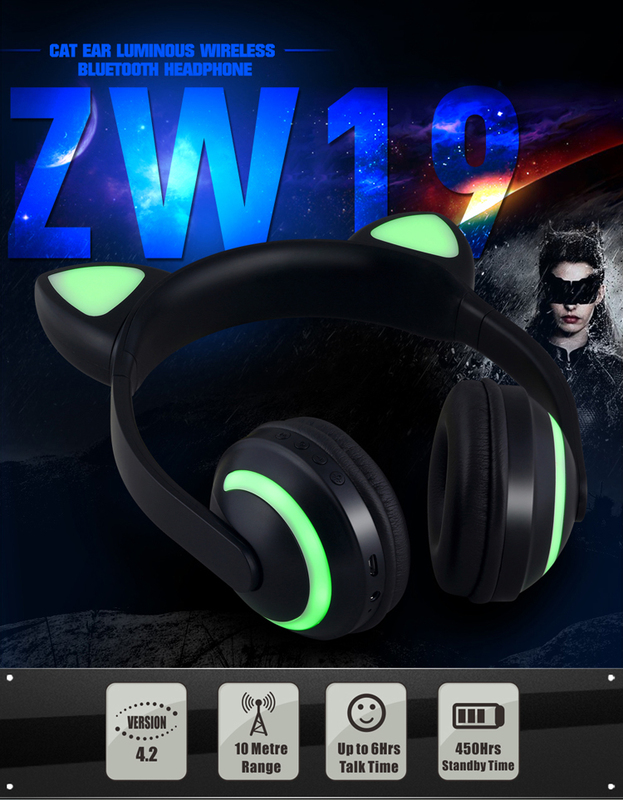 If you're watching a movie, bring the popcorn!🍿With the theater quality sound of these eye-catching Cat Ear Headphones, you'll think you're at a star-studded Premier! Gamers Beware⚠️The realistic effects will make you believe you've been dropped into combat on a distant battlefield. Or a 31st-century ghetto. D.J.s - Cut, scratch and transform at the loudest, livest, most lit events while able to HEAR what you're doing on the 1s and 2s! With the light show on your head flashing to the beat. At less than 2hrs to Fully Charged, you'll be Jamming in no time flat! Also, no worries about the battery discharging while in transit with 120hrs of Standby Time. Whether a Music Lover, Movie and T.V. Buff, D.J. 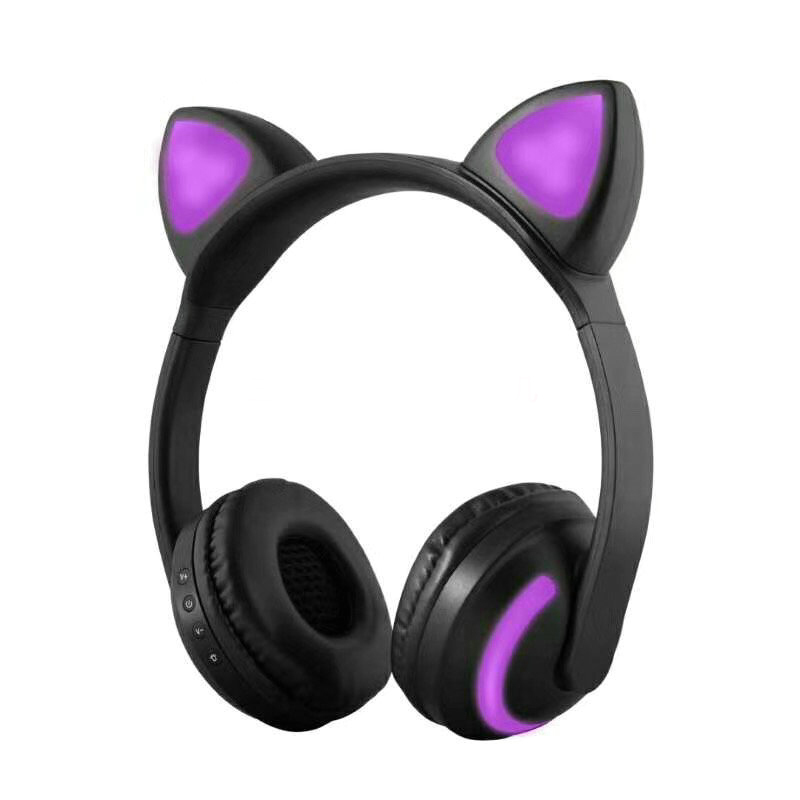 or Gamer, if you're a Cat-Person or simply enjoy making a Unique Statement, these are the Headphones for YOU! Choose Normal (We Pay to Ship) or Fast Delivery (4-7 Days) for just $7 more (Sorry, U.S. ONLY) - from the Drop-Down Menu. You've seen them in action, it's time to HEAR them! Hit "Add to Cart" and Order Yours Today. 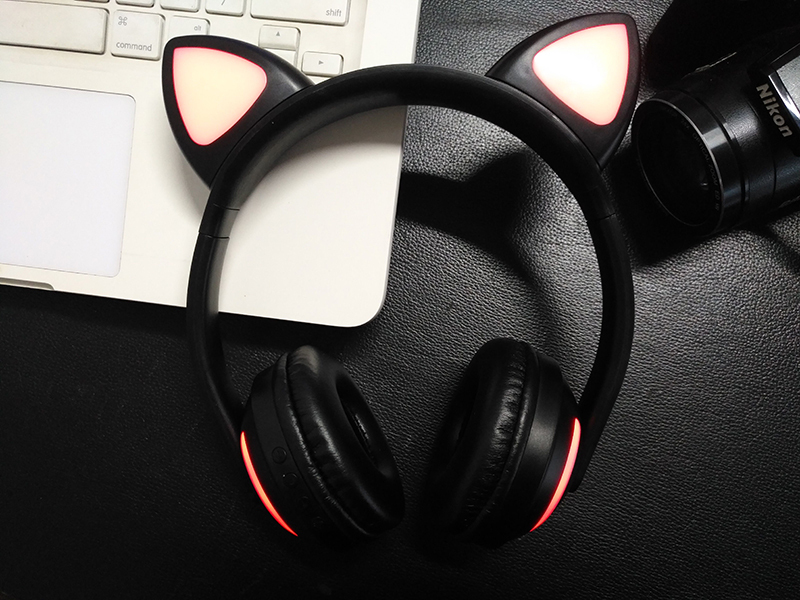 [Stunning Cat Ears]: Stand out while you rock out! The flashing, glowing Cat Ears set you apart from the crowd. [Dazzling Lights]: 7 different light modes will have you outshining everyone. Seamless switching between modes lets you tailor your look to your mood. 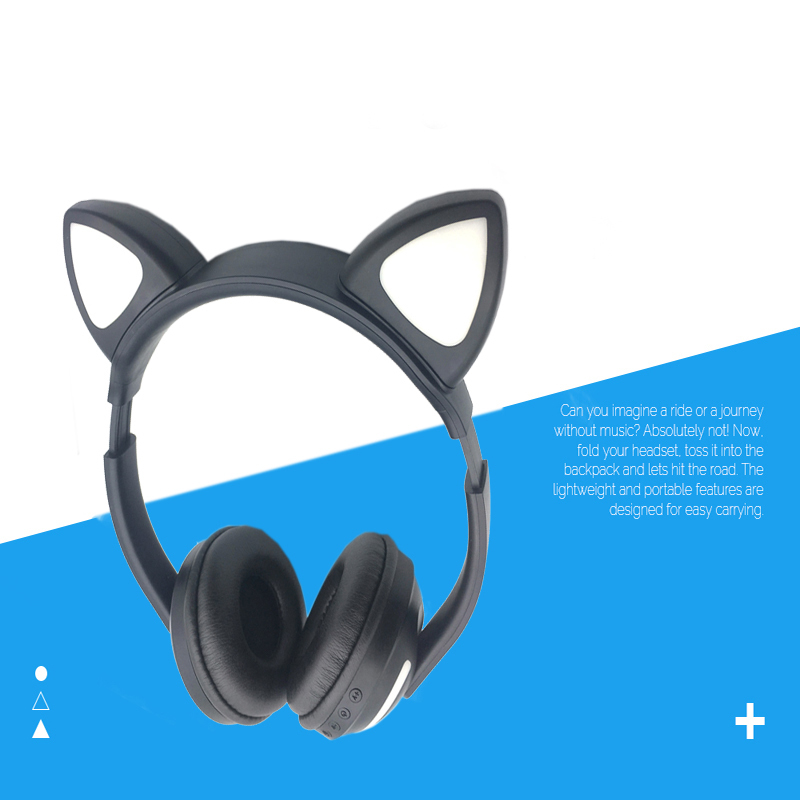 [Comfy, Portable Design]: Cushy ear pads keep your ears comfortable no matter how long you listen. The foldable, compact design fits perfectly in your bag or backpack. 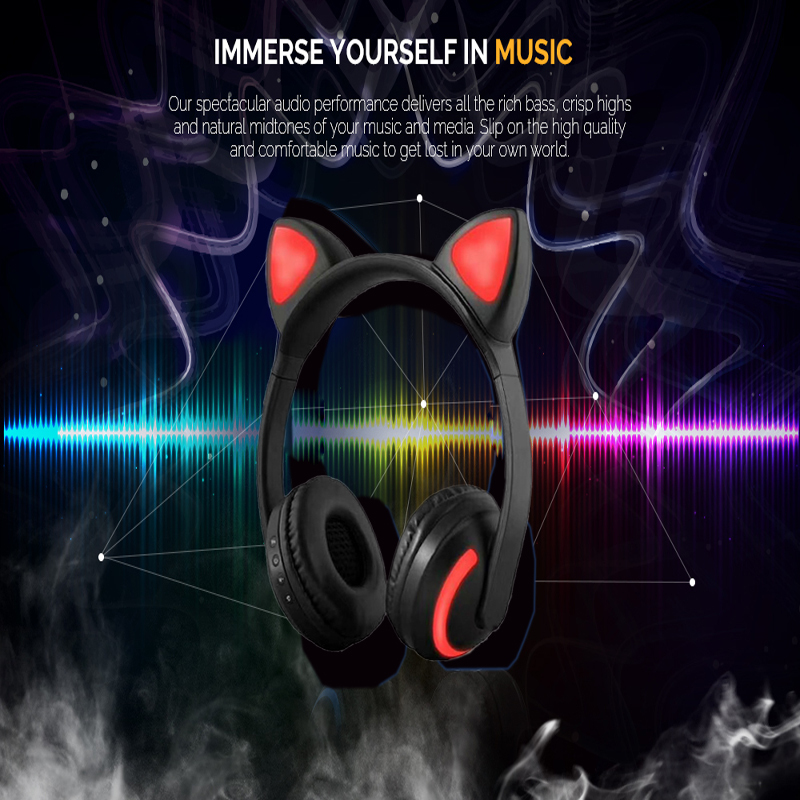 [Long-lasting Battery Life]: Enjoy up to 5 hours of uninterrupted, high-quality listening with all your glowing lights, or 8 hours of audio-only enjoyment. It was easy buy. Had very good grades of buyers and that gave me decide. I absolutely love them! ;) Delivered in Krym for 12 days. It works, color change, even the sound is surprisingly good. Also change the size can be. Headphones packaged in three layers of film. A Little not so look on the head, as I expected, and the ears more, oh no. Seller 100% recommend! Excellent item, seller no doubt recommended. Great product came as photo and description. Am satisfied. Delivery fast, about two weeks. Box wrinkled, headphones packed pupyrku, it works. Delivery very fast. All match the description. Thank You Very Much! these are nice and solid. love that they change colors. sound is great. can be used over bluetooth and auxiliary. nice! Excellent! Decent sound, great light. 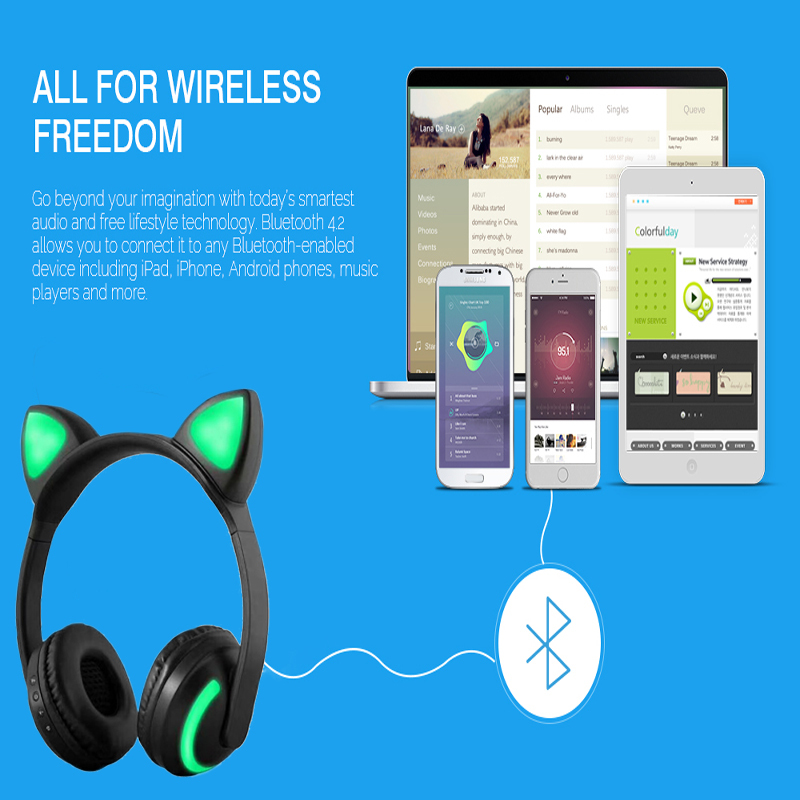 Work as a wireless mode of Bluetooth, and through the wire-in this case and charge them extra is not necessary. The design is quite strong, accidentally break. Daughter. All advise.